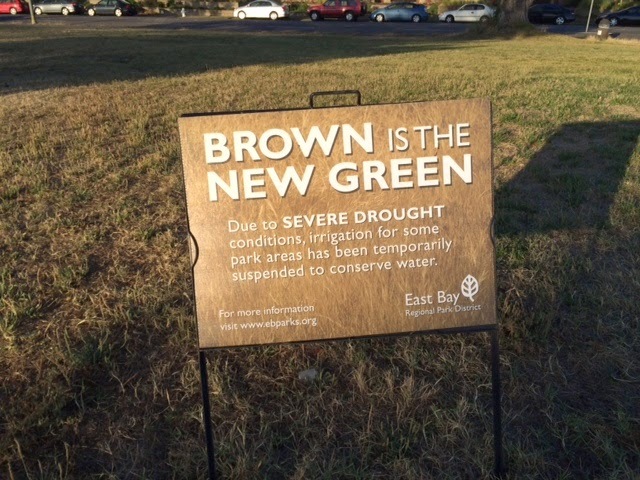 If Orange is the New Black, then it’s fine that Brown is the New Green….and that’s how it is at our local parks here in Alameda. This is the best PR sign I’ve seen in a while! It’s located by the beach, near the windsurf Shack, where Shoreline turns into Westline. Boomer-Chick-Musings.com how my thinking is influenced by my thinking too much. I just looked on EBMUD, our local water utility website…to take their self-survey, and they may be able to send their customers some free water-saving devices. Here’s the link ! My sense is anything that saves even a bit of water….is a good thing. Check it out! Broker Tour Tuesday! 16 this week…I could barely get out of my office before the tour was over…but I did see 6 properties in the last two days. Pending listings this week 68! could be there is a shift! Mod in the midst of Vics! Can’t see this until Sunday’s open house. Get me to Rehab! tied! Another modern (1969) townhome and another 1895 home. That’ll do it! BTW…I’m a Nana now! My son and his wife had a baby boy on 7-11…so he’s set for Slurpees, for life, at the 7-11 Stores!